After teasing us with "I Do," Bat for Lashes officially announced that she would be walking a new album titled The Bride down the aisle this summer. The record doesn't arrive until July 1 (via the Echo Label Limited/Warner), but Bat for Lashes mastermind Natasha Khan has just shared another glimpse at the forthcoming release. This time, it's a video for "In God's House." As previously reported, the new record tells the story of a woman whose fiancé is killed in a car crash en route to their wedding, leaving the titular character to take a solo honeymoon where she reflects on love, loss, grief and then, finally, celebration. 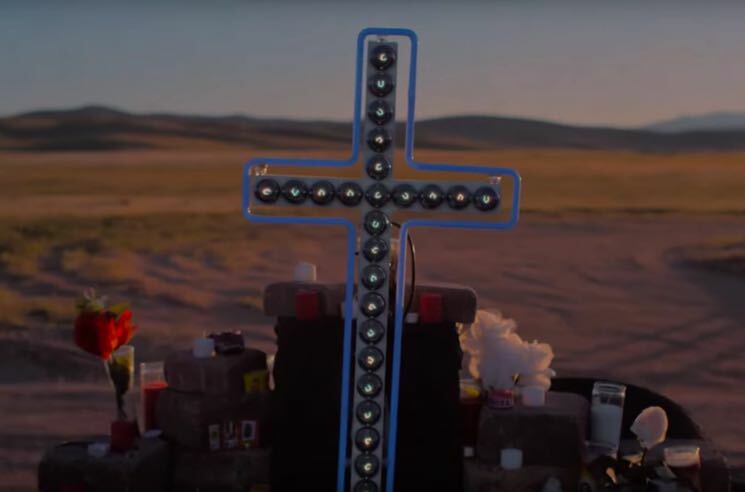 "In God's House" picks up near the beginning of the journey (it's the third track on the record), and the new video finds Khan in the desert, mourning at her financé's roadside grave, before shedding her veil and expressing her sadness through dance. Watch the latest piece of the tale unfold in the video for "In God's House" below.